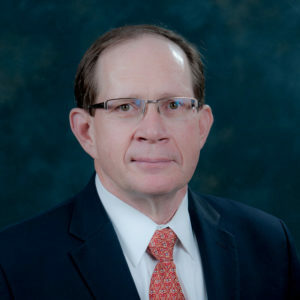 Richard Lynch is Senior VP Technology and Services at Hess Corp. 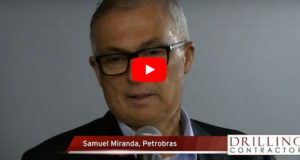 In the presentation you gave at the 2018 IADC Annual General Meeting in November, you stressed the need for the industry to invest more in deepwater. 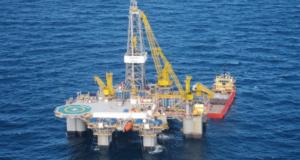 How can the industry make deepwater competitive with the onshore unconventionals in this environment? While the downturn has placed a premium on short-cycle unconventionals, I do believe that investing in deepwater will be critical to the future success of our industry. I also believe that deepwater can compete, and even demonstrate higher returns, if we focus on adopting Lean principles. This means focusing on performance, which encompasses safety, quality, delivery and cost, as well as technology. We’ve already seen deepwater drilling and the cost of new projects fall significantly over the past five years. However, part of it has been due to lower dayrates and contract rates, which rise and fall with supply and demand. Instead of focusing on that, we have to bring down the entire cost structure. Key themes in that effort will be standardization, simplification and collaboration. Richard Lynch, Senior VP Technology and Services, Hess Corp.
Everything in deepwater doesn’t have to be bespoke. We spend a huge amount of money, effort and time in getting things designed perfectly, when a 60,000-bbl/day facility is probably adequate. If we need another one, we’ll go get another one when we need it. But if you can shorten the cycle time by two or three years, why would you not do that? We need to understand where the values are driven, and we need to do things in a more time-efficient manner. And it’s not just the operator who does this – it’s all the participants in the value chain. That’s where the collaboration piece becomes so critical. 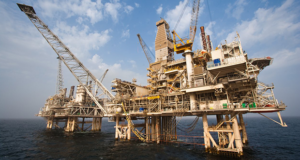 Do you see opportunity for standardization even in complex deepwater projects? Absolutely. Look at subsea trees – everyone has different styles, down to how many valves it has, what type of controllers, and even what color to paint it. 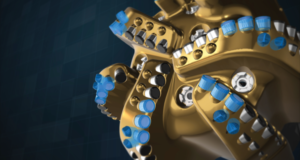 There’s an industry group working on a standard subsea tree, so you can design one and build many. That’s how you get to continuous improvement and eventually drive down the cost structure and increase profits for all involved. It’s the same thing on topside design, hull design and, frankly, well design. Even in the Gulf of Mexico, everybody has their own casing design, but when you step back and look at them, they’re not radically different. Yet they’re all different sizes, weights and grades and specification for the steel. If we can standardize that, then we start to simplify and put efficiency into the supply side of those products. I think that’s the future. Will it be the operators who will have to drive this collaboration? I would challenge the system and say that everybody has a role to play. In the past, the operator has always been the ultimate integrator in these processes, but we need to be far more collaborative than that. When you go along the collaboration chain, different people will have to step in at different times to lead. 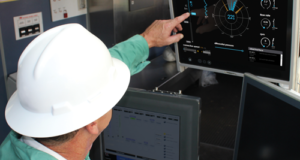 In the current environment, what a wonderful thing if a drilling contractor would take the lead in putting disruptive technologies on their rigs. Talk about having a competitive advantage. Do you think that, as activity levels increase and the industry moves more into recovery mode, that we’ll lose focus on critical initiatives to standardize, simplify and collaborate? If our past is our guide, it would tell you that’s going to happen. But what does it take to change that? Supply and demand and the dynamics of economics will always be there, but how we work is a leadership decision. As servant leaders, we need to recognize that doing the same thing has always taken us up the cost curve, so let’s stop and go in the other direction. We have to learn from the past. 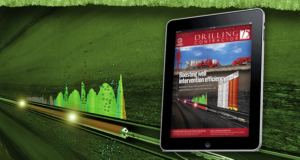 What are the biggest challenges that you see on the horizon for the global drilling industry? I think it’s the investment this industry needs in the coming decades. We’ve seen significant curtailment in investment over the past five years due to the oil price. Since 2014, investment in the upstream has come down by almost 40%. Particularly in deepwater, we’ve seen a near-total collapse of the market. But this industry must continue to invest in both onshore and offshore in order to meet future demand. In fact, the International Energy Agency estimates that we’ll require $540 billion in investments every year to 2040. That adds up to more than $12 trillion, which is an incredibly huge number. Capability and technical excellence are more important now than ever. Companies have to be putting together their plans now that will give them the outcome and the future they want to create. They also have to be connected to the disruptive technologies that will enable continuous improvement. What does this require from our leaders? Leaders need to have one hand in today and one hand in the future. They must have the sense of both. If your goals and business objectives aren’t aligned to the future, you won’t get there. 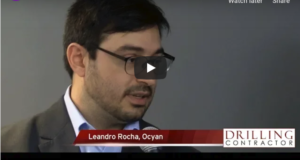 How can the industry use technology to make better decisions? The technologies to do that are not inside our own shops; they’re out in the rest of the world. It will be a new world when we can become cloud-based with data analytics that drive autonomous operations with edge computing across a blockchain distributed system that help us in every decision we make. It’s a different future. Do you see mindsets and people’s openness to new ways of working being a major barrier to change? Actually, if you’re not able to change, the rest of the world is going to move beyond you. Change is essential. It’s not something that we want to have anymore; it’s something we must have. What can be done to help companies invest more in technology development and to adopt innovations at a faster pace? Part of that is helping people to understand how the solutions make a difference in their business. To do that, you have to go into the outside world, as I mentioned earlier. If you can start using data, that becomes knowledge to improve your overall process. Why wouldn’t you do that? And if it takes fewer people, why wouldn’t you do that? The traditional mindset is that “if it ain’t broke, don’t fix it.” Are you telling me that the way we operate now is already broken? 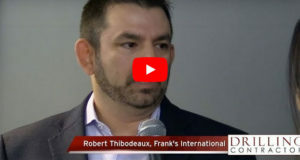 The secret sauce to the Stampede project, which Hess delivered six months ahead of schedule and $800 million under budget, was using the Lean approach and process to drive continuous improvement. It’s not that it’s broken, but the world around us is changing at a greater rate. They’ve solved problems in some of the areas where we’ve been resistant to change in the past. “If it ain’t broke, don’t fix it” gets you only so far down the cost curve. To jump the cost curve, you’ll have to actually do something different. Again, it takes leadership to do that. There are risks around many, many things, so you have to be careful about what you’re doing. Use small increments to get big outcomes. Look at the cell phones that people use every day now. Honestly, is this industry deploying all the technologies we have in cell phones in the way individuals use their cell phones? We’re not. We’re just scratching the surface. 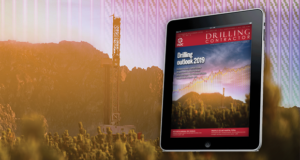 What would you like to see drilling contractors do more or differently at the well site? Be a critical part of the team. Feel engaged to be part of the leadership of the team. 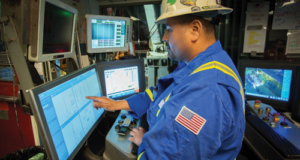 The thing that makes the biggest difference in our relationships with our primary drilling contractors is being able to walk in lockstep in how we lead all the rigs that we have running. Having a focus on performance is critical. When everybody’s aligned around performance and when you engage an army of problem solvers, which is at the heart of the Lean model, you will see safety performance improve greatly. You will see the number of defects come out of the system. You will see your delivery times improve. And at the end of the day, it improves the cost. Frankly, I want the drilling contractor to be as profitable and make as much money as they can. Why? Because it makes everything that I’m delivering better for me, as well. They are an equal party at the table, and we need to think like that. 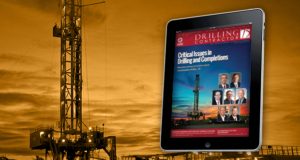 Do you see drilling contractors moving toward that leadership and alignment? Certainly, and the results already speak for themselves in the reductions we’ve seen in drilling and completions times and costs. The one thing I would add is that one of the most difficult things to do is to be very open and transparent about your defects, many of which go deep into the supply chain. But until we’re able to have that conversation, how do we resolve those problems? This goes back to the collaboration I talked about earlier, and it requires a lot of personal buy-in, particularly in the leadership space. You will get a lot out of leaders who are tough on problems but easy on people, which is vital to creating an environment that supports change. 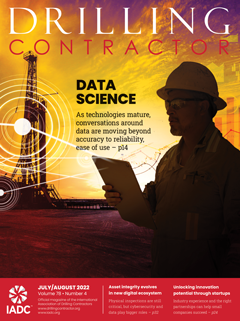 What are some examples of how data analytics/big data are improving drilling/completion performance for Hess? 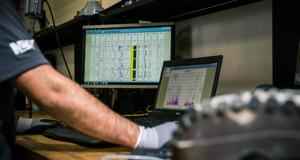 In the unconventionals, particularly in our Bakken assets, a big piece for us is using data analytics to understand how fracture stimulation using different techniques unlocks greater recovery. There are a lot of moving parts to data analytics. What makes for greater recovery? Is it the amount of sand? 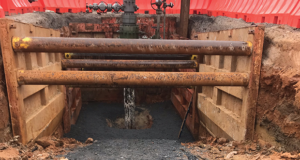 Is it the way the well is perforated? Is it how the sliding sleeves are positioned? When you run all those things through an analytics engine, and it starts going through all the scenarios to get to the best outcomes, suddenly you have thousands of wells to compare and suddenly you start to see patterns. You realize that one combination is getting not only better operational results but also better financial results. That’s greater than what the human mind can do. A lot of completion designs in the unconventionals are already driven off the back of heavy data analytics. Part of this is getting access to more data and information. It’s also using a bigger database to compare what others are doing in that same space. We’re also using a lot of data analytics to assess the health of our BOP systems. We’re starting to unlock some of the failure modes that create early BOP pulls. Some of these aren’t things you’d normally think of. It’s weather, cleanliness and seals; it’s where fluids are at different points in time; it’s impact of subsea and surface depths on connectors and connections. 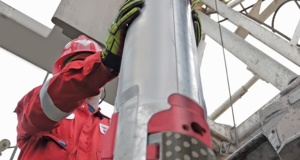 These subtle pieces of information are helping us to unlock bigger subsea BOP downtime issues. Going back to a point you made in your presentation at the IADC Annual General Meeting, you said that by 2045, one computer will have the computing capacity of all human brains in the world. So what happens with the brain power that we have? 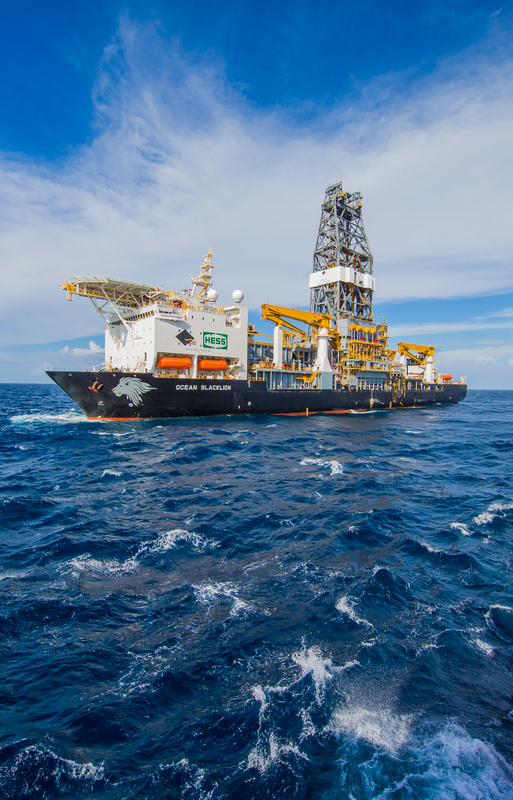 Diamond Offshore’s Ocean Blacklion is contracted to drill for Hess in the US Gulf of Mexico into early 2020. 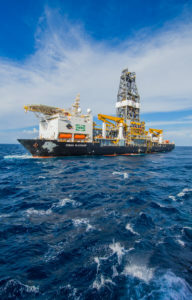 Hess believes that deepwater can compete and even demonstrate higher returns than onshore unconventionals if the industry focuses on adopting Lean principles. We become smarter, because you have not only the advantage of your own knowledge but also the knowledge of the whole world around you in the decisions you’re making. 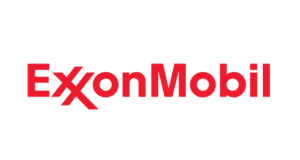 This is not just an opportunity for the oil and gas industry but for the world to transform the way everything is done. The electronic world is moving at a rapid pace. Today we have clouds that provide offline capability to hardware and software when we need to use it, so we don’t have to have it around all the time. It’s transforming the IT space right now, and we don’t even know what clouds will look like in the future. When you think about how that could change the way we deliver wells in the deepwater Gulf of Mexico – radical changes are coming. In terms of the way companies work together, has Hess adopted any non-traditional partnerships to enable more collaboration? Yes, and there are two levels of that. At a high level, the way we work with our service companies, our drilling contractors, our equipment suppliers, we are trying to create an equal seat at the table for everybody. But you also have to get beyond that. We also have to get into the external world because we have to get involved in machine learning, automation and different ways of imaging this Earth. To do all this, you have to go to the world outside of our industry. It’s about getting the chance to see what’s going on, and then taking action on that. How has this latest downturn impacted how Hess approaches the development and/or implementation of new technology? I think it’s only reinforced our commitment to new technologies. Look at the Bakken and our move from sliding sleeves to limited-entry plug and perf. We’ve taken sliding sleeves so far, but we see the future of plug and perf taking us to a whole other dimension. That transition has been happening already, and we’re getting ready to take that even further. Go back to what I said about simplification and standardization. That also involves process technologies that guide us to working more efficiently. We’re pushing that in every possible way we can. We need to take our deepwater and offshore assets down the same learning curve that we’ve had onshore. The focus remains on performance and on using disruptive technologies that unlock that. Can you talk about some of the major factors that allowed Hess to deliver Stampede six months ahead of schedule and $800 million under budget? It was about being very clear on what had to be delivered. It’s not only the strategy but the understanding of each sub-part and how they can be done in the most efficient and most effective manner. We use Lean processes to do that, which involves value stream mapping, using dashboards and creating standard work so we can measure our progress against the goal. That signals up in real time when you’re having problems. When you can solve things in real time, it transforms the outcome. That’s really the secret sauce, if you will, behind Stampede. It was using the Lean approach and process to drive continuous improvement. Of course, doing this requires a lot of leadership, a lot of measurement and a lot of technology. The efficiencies, capacities and horsepower that’s delivered by modern drillships have transformed the way deepwater wells are delivered. Dual-activity centers and massive space on the decks to get work done offline – these things have all changed the game. With all the changes you’re making and disruptive technologies you’re employing, what kind of feedback do you get from employees who are having to work in different ways that they’re not used to? Is it hard for them to change? I don’t think so, and the reason I say that is I can’t think of anyone who doesn’t like being on a winning team. Not only is your mind engaged, but your heart’s also involved. Once you find yourself on a winning team and you’re transforming the way things work, it’s contagious. Everybody wants to be part of that. I think it connects people better and forms tighter relationships amongst the team. What is your outlook on the future of the oil and gas industry, considering all the challenges we’ve discussed? I think it’s important to know that the oil and gas businesses is a growth industry. Keep in mind the $12 trillion that will be invested in our industry over the coming decades. In this low oil price environment, a lot of people are not looking to the future. You put the weight of that low oil price around your neck, and it pulls your head down and you’re not able to look up and see the future. But when I look at those demand curves and the opportunity that creates, the future is bright. Our destiny is in our own hands. We have to be bold enough to stand up and lead, and then we need to be bold enough to stand up and continue to change to make that outcome happen. I understand our industry goes through hard times, but we have to learn from it. We can talk about how difficult the last four years have been for our business, Hess included. But during this time, we have adjusted our business. We have a strong, robust portfolio, and we’re confident in the actions and the things that we have in our future.